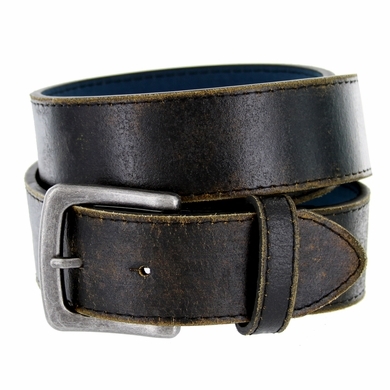 � Men's Vintage Distressed Leather casual Belt with Antique Silver Buckle. � Belt Width: 1-1/2" Wide Belt strap Made with snaps for interchangeable buckles: Just snap off and snap on. � Buckle Antique silver color finish.